Kroger’s Purchase Of Roundy’s Is A Win! -Kroger announced it will purchase Roundy’s for $3.60/sh. -Though a large premium, I think the bid saves Roundy’s from impending bankruptcy. -The well-capitalized Kroger will provide a huge boost to stores in both of Roundy’s markets. -Both stocks are fairly valued, but this was an excellent acquisition for Kroger. Early Wednesday morning, Kroger (NYSE:KR) announced that it purchased the dismally performing Roundy’s (NYSE:RNDY) for $3.60 per share in cash as well as the assumption of Roundy’s $641m in long-term debt and capital lease obligations, ultimately valuing the company at $800m. Though Roundy’s seemed down the path to bankruptcy, Kroger is ultimately a stronger competitor with much greater scale and financial strength that should help drive comp turnarounds at Wisconsin stores will bolstering the growth rate of Mariano’s in the Chicago area and beyond. The clear winners in this situation are Roundy’s capital holders, Kroger, and those in the markets served by existing Roundy’s stores. Competitors in bot the Chicago market and Wisconsin market have the most to lose to their newly well-capitalized, enormous competitors. Any time a deal is announced to have a 60%+ premium, one naturally assumes the equity holders made a big win. This likely is not the case with most of the Roundy’s shareholder base. After going public at over $9 a share in 2012, shares had fallen as low as $2. Even after the “64%” premium, Roundy’s will have lost over two thirds of its value since its IPO. While a weakening core business certainly did not help the cause, the real cause of Roundy’s downfall was its awful capital structure. Private equity owner Willis Stein took it public with a cumbersome debt load and huge dividend meant to help goose the returns on its Roundy’s investment that just hadn’t worked out. In the interim, CEO Bob Mariano launched the Mariano’s banner to great fanfare in the Chicago area. As the long time CEO of Dominick’s, Mariano knew how to appeal to Chicagoland shoppers and knew how to pick out some great real estate. The store has done fantastically well-growing to 34 locations since 2011. In order to grow the Mariano’s brand, Roundy’s shed non-core assets, including a chain of stores in Minnesota, and harvested cash flow from its Wisconsin business. The firm also took on junk-rated debt that paid 10.25% in annual interest charges. Though Mariano’s thrived, the Wisconsin business was hit by underinvestment and competition from the likes of Wal-Mart (NYSE:WMT), Target (NYSE:TGT), and Woodman’s. This year alone, same-store sales in Wisconsin have fallen 2.3% YTD while total Wisconsin sales are down 4.5%. FY14 same-store sales were down 4.2% in Wisconsin. Even after adjusting for non-cash charges, the company has not made money in 2015, and, in my view, it had no clear path to making any money in the next few years. As a going concern, there’s a strong likelihood that the company would have run out of cash in 2-3 years and been forced into bankruptcy. The fact that equity holders received anything given the company’s precarious position is a miracle. 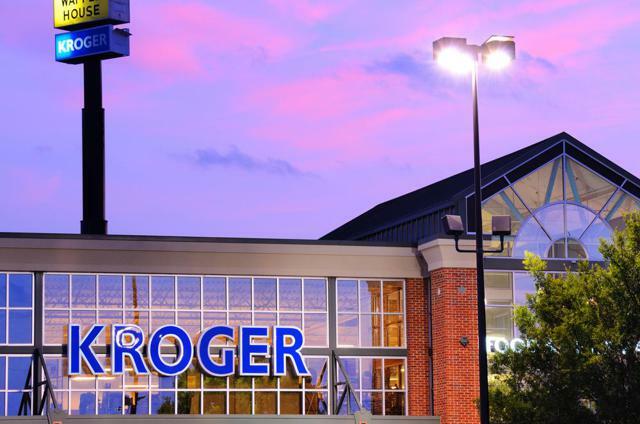 As for debt holders, the days of a 10%+ return on the debt are over; however, Kroger’s will refinance the debt at a lower rate and significantly lower risk profile. This prevents bondholders from spending years sorting out the capital structure in bankruptcy court. In total, Kroger will pay about 0.2x sales for Roundy’s. Importantly, this acquisition gives Kroger a strong entry into two markets it previously eschewed: Wisconsin and Chicago. Kroger plans to invest in the Wisconsin market to drive growth, and when you consider the $40m+ in overhead synergies and the additional leverage from Kroger’s house brands and superior purchasing scale, it is easy to see how the company can get the Wisconsin business back on track. Additionally, management noted that the Wisconsin market is similar to other markets it presently operates in, thus generating confidence about the ability to drive superior results. As for Chicago, it sounds like Kroger will utilize industry veteran Bob Mariano to grow the Mariano’s banner. Kroger operates the no-frills Food 4 Less, so Mariano’s provides the company a chance to significantly rise up the value chain. Mariano’s has proven to be a formidable foe for Whole Foods (NASDAQ:WFM) in the Chicago market, and it is even partially responsible for Safeway’s closure of the Dominick’s banner. Even more interesting, Kroger management hinted at the ability to leverage the Mariano’s banner in other markets. From anecdotal experience, it is hard not to appreciate Mariano’s mix of upscale fixtures, its in-store shopping experience (gelato, coffee, great prepared food), and compelling product mix that is augmented by real value prices. The banner will need some tweaks here and there, but ultimately, it is a leverageable platform that should be able to tackle Whole Foods and other upscale grocers. The one limiting factor for both the Roundy’s Wisconsin stores and Mariano’s has always been capital. 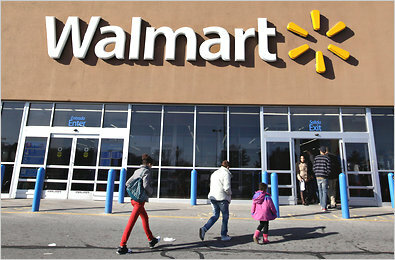 Stores in Wisconsin suffer from underinvestment and price wars from Wal-Mart, Target, and Woodman’s. In Illinois, Mariano’s has clicked with consumers, but the company can’t expand enough, and, frankly, is unable to properly staff its own stores at times. With the backing of the $100B+ revenue Kroger, both businesses will benefit from superior pricing, scale, and resources. Cerberus must be sweating its purchase of Jewel in 2013. I think Roundy’s will increase share and profitability in both of its markets. Unfortunately, I do not think the Roundy’s deal is a reason to buy either stock. The deal spread for Roundy’s shareholders is just a few pennies, and I believe there is little opportunity with a bidder to present a superior offer in the go-shop period. I think the market appropriately values Kroger at roughly 19x next year’s earnings. However, existing Kroger shareholders should view this acquisition as a great win, and the clear reason why Kroger continues to be the best pure-play grocery operator in the US.